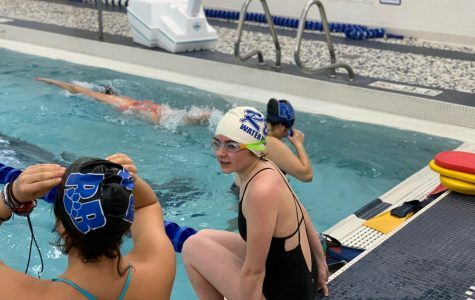 (Top) Bella Brick shows off her poor swimming technique during practice. 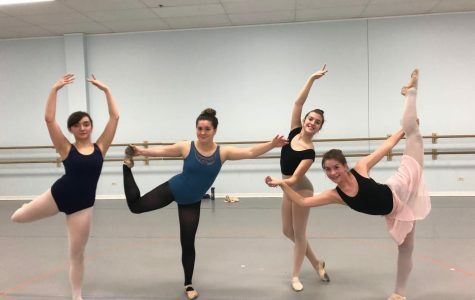 (Bottom) Sarah Strubbe is extremely confused by ballet terminology. Photos by Mike Laurich and Bella Brick. Have you ever wondered what it would be like for a competitive athlete to try a different sport? Well, wonder no longer! 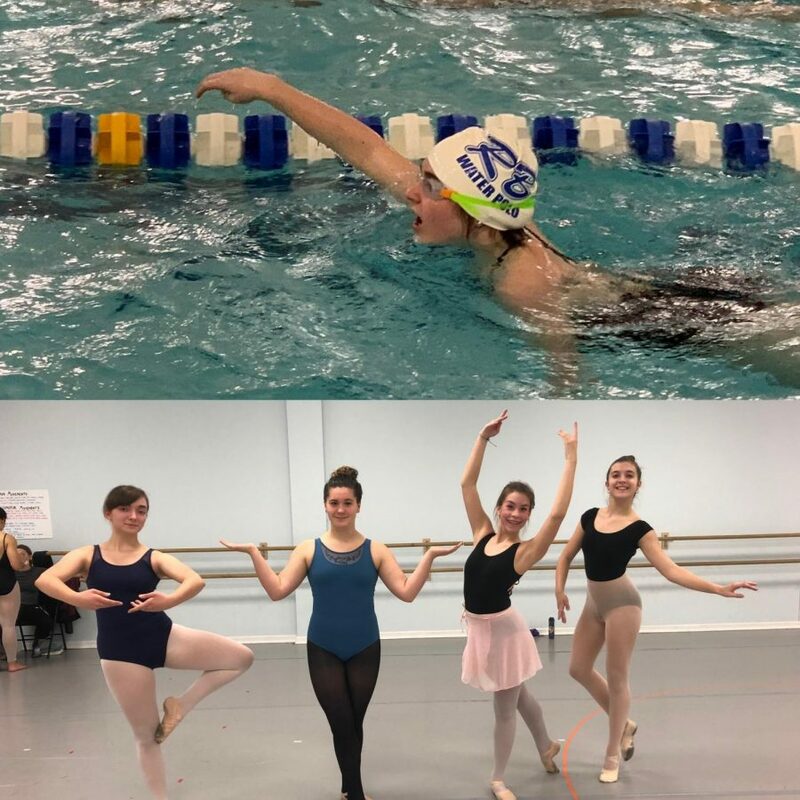 Bella Brick, a competitive ballet dancer, and Sarah Strubbe, a competitive swimmer, swapped sports for a day with hilarious results.